Generally speaking and at face value, the bicycle is a fairly simple and straightforward contraption. You push on a pedal that is levered by a crank that turns a chainring that turns a wheel propelling you forward. Most of all they are a lot of fun to ride, but as we all know, they are a lot more intricate than they appear. The continuing evolution of bicycle design and technology is mostly out of the realm of the everyday enthusiast, and the intimate details of the workings, materials, and engineering of the modern are the domain perhaps of those who make a living off of building and selling the machine. Do you know the difference between a head tube and a headset, or what material your bike frame is made of, and why it matters to how a bike rides and performs? 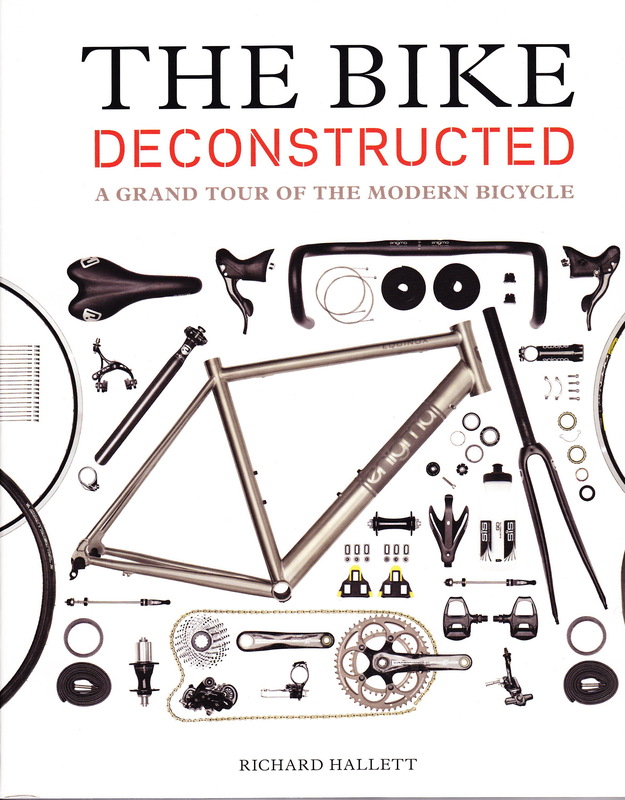 The Bike Deconstructed looks at bicycle design and engineering by looking at the parts both large and small of the modern road bike, their principal uses (and misuses), how they function, and the different variations of parts and materials. While every component of the bicycle has evolved and technologies constantly advance, one thing has remained relatively unchanged: the diamond shape of the bike frame effectively composed of two triangles laid side on. The structural efficiency is improved with the application of composite materials, and computer aided structural analysis, but with some exceptions the diamond shape has remained continuous throughout the years. Composition of the frame has evolved with steel being the original material, and the addition of lighter materials such as aluminum, titanium, and of course carbon fiber. Deconstructed guides the reader through their advantages and benefits for ones riding style and technique. Any bike enthusiast will enjoy adding this book to their collection. 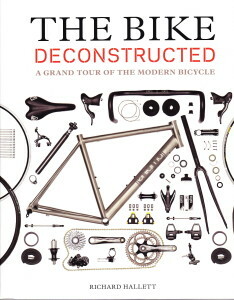 A quality publication printed on heavy stock, and with large color imagery and detailed schematic drawings, Deconstructed will be a welcome addition to either a cyclist’s library or repair bench. All riders from neophytes to nerds will certainly find something useful- whether it is the difference in a spokeweaving pattern, or the simplicity of how a fender works.